The Islamic Fiqh Council (IFC) aims, in part, to: "Prov[e] the supremacy of Islamic Fiqh over man-made laws," and "tak[e] measures to counter suspicions raised against Islam, as well as problems and observations designed to either spread skepticism about the rulings of Islamic Shari[a] or degrade their importance." The judge also seems not to be familiar with the Quran or Islamic history, such as its conquest of Persia, Turkey (the Christian Byzantine Empire), all of North Africa and the Middle East, Greece, Eastern Europe and southern Spain. Judge Browning is not alone in his lack of familiarity with the background of Islam and this stunning "disconnect" in the West. It is high time for Americans to cease ignoring the words and deeds of Islamists -- whether in the U.S., Canada, South America, Australia, North Africa or Europe. A recent conference in Saudi Arabia served to underscore the misguided stance of many officials in the United States who deny the connection between Islam and violence, particularly when it comes to terrorist acts committed on American soil. The conference, "Ideological Trends between Freedom of Expression and the Rulings of the Sharia," was held in Mecca, March 19-21; organized by the Islamic Fiqh Council (an affiliate of the Muslim World League), and sponsored by Saudi King Salman ibn Abdul Aziz. The event illustrated the impossibility expecting Islamic governments to protect genuine human rights. One of its participants, Dr. Yousef Al-Othaimeen, Secretary General of the 57-nation Organization of Islamic Cooperation, said that the gathering served as an important contribution to his group's efforts "to promote the true image and lofty teachings of Islam, which call for affection, beneficence, tolerance, coexistence and harmony." Both the content of the conference and the background of its initiators, however, indicate the opposite. "Humans are free to have their blood, money and honor preserved and remain free except from worshipping God Almighty" said Prince Khalid Al-Faisal bin Abdulaziz, Mecca Region Governor and adviser to Saudi Arabia's King Salman, referring to the Quran at the opening ceremony. The operative word is "except." What that means is that all people must submit to the will of Allah and that Islam is the only true religion. This assertion is mild in comparison to the workings of the Islamic Fiqh Council itself, however. It has not only been characterized since its inception by hatred, intolerance and extremism, but is behind the 1990 assassination of an imam in Tucson, Arizona, which Mideast expert Daniel Pipes called "One of the first killings on U.S. soil connected to the Islamic religion..."
"Prov[e] the supremacy of Islamic Fiqh over man-made laws," and "tak[e] measures to counter suspicions raised against Islam, as well as problems and observations designed to either spread skepticism about the rulings of Islamic Shari[a] or degrade their importance." In its 11th session (in Mecca on 19-26 February, 1989) -- famous for issuing a scathing legal decree against author Salman Rushdie for allegedly insulting Islam in his 1988 novel, The Satanic Verses -- the IFC set the stage for the murder of Rashad Khalifa, an Egyptian-born American computer scientist and imam in Arizona, by declaring him a "criminal" for denying some of the verses of the Quran, thereby "undermin[ing] the religion of Islam from within." Khalifa gained international attention when he released a computer analysis of the Quran and claimed that two of its verses were written by Satan, not God. "Khalifa's pretensions mean that he is no longer a Believer and has committed apostasy," the IFC wrote in a resolution. "Hence, Muslims must be alert and cautious of his false views, and they must not cooperate with him. A prayer behind such a person is unlawful." Less than a year later, on January 31, 1990 -- after receiving numerous threats on his life, Dr. Khalifa was found dead at the mosque where he worked, the Masjid of Tucson, "stabbed 29 times, beaten and doused with a flammable solvent." 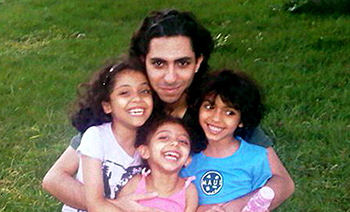 It would take nearly two decades for Khalifa's killer to be apprehended. On 28 January 2013, Glen Francis was convicted in Arizona of first-degree murder and sentenced to 25 years-to-life in prison by Pima County Superior Court Judge Christopher Browning. In his ruling, Judge Browning said he found it ironic that Francis apparently killed Khalifa in the name of Islam -- a religion that "values peace and wholeness and denounces aggression" -- and told the defendant that in the United States, everyone's constitutional right to believe or not to believe is celebrated along with the right to speak and teach "in peace." Clearly, Judge Browning had not been paying attention to the Muslim plot uncovered in Colorado to kill Khalifa over his controversial interpretation of Islamic scripture. Nor did the judge seem to be aware of the fatwa on Khalifa that had been issued by the Islamic Fiqh Council, an organization that has an active branch in North America. The judge also seems not to be familiar with the Quran or Islamic history, such as its conquest of Persia, Turkey (the Christian Byzantine Empire), all of North Africa and the Middle East, Greece, Eastern Europe and southern Spain. Judge Browning is like so many including our elected officials--they just don't get it. Most do not want to "get it." It never ceases to amaze me how people's eyes glaze over when you attempt to inform them about anything having to do with Islam, Sharia or the stealth Jihad going on in America and across the globe. This includes my family. They look at you like you are an anomaly. My friends experience the same thing. We continually ask expert speakers at our events and each other---"how to we break through to these people?" The sad fact is that many European countries fail to see (or avoid) the obvious: Some Muslims seek the West because they want to enjoy the freedom its members allow and are READY TO INTEGRATE IN ITS SOCIETIES: These include professionals, scientists, venture capitalists and innovators. Some Muslims WILL NEVER INTEGRATE IN THE WESTERN CULTURE no matter what. These tend to be less educated, ideology driven and have a mind-set that justifies butchery, beheading, lying, whining, complaining and usurping of public goods. 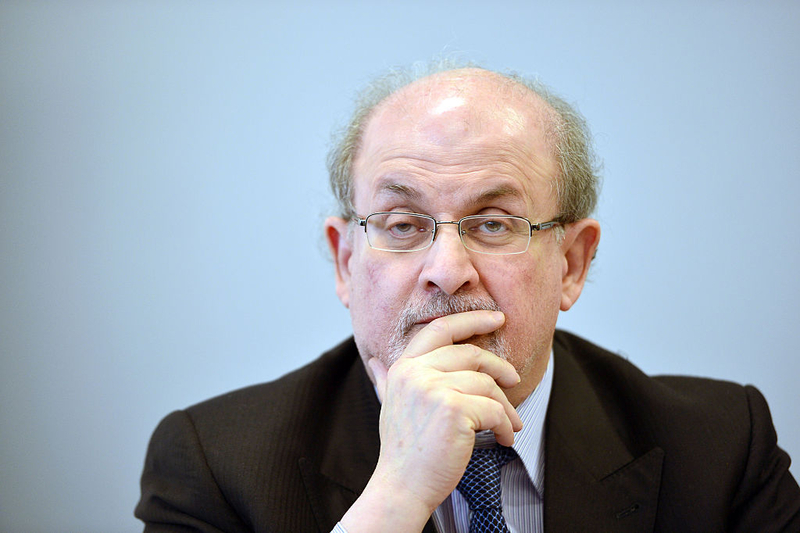 These will continue to talk about the lack of morals and islamophobia in the West as if genital mutilation of women, treating women as requiring men' protection and having multiple wives and oral divorce, enslaving children, propagating hate or that chopping heads and scolding enemies are the height of piety and goodness..
Salman Rushdie did little more than point out that there is little about Islam that can't be tied directly to what Christians call Satan. Just look at the headlines for the last few days. How many innocent folks were blown to pieces by a islamic zealot with a car bomb, a suicide vest, or an individually applied sharp hunk of steel? There ain't no good in that, only evil. Am I the only one to find this funny? These people must exist in some kind of echo chamber, completely disconnected from the real world. Presumably, given the chance, they'd be hacking off the necks of Muslims who are currently trying to reform Islam. The ummah has never been so disparate as it is now. Millions of Muslims have left Islam in recent years, and millions more are "on the verge" at this moment. There's no saving Islam, but it will take millions with it as it collapses. In the words of Muhammad: "Verily Islam started as something strange and it would again revert (to its old position) of being strange just as it started, and it would recede between the two mosques just as the serpent crawls back into its hole." Yes you are the only one. The number of Muslims trying to reform Islam is minuscule and will be ignored by the rest.....after all one cannot reform Islam as this will be challenging the Prophet....and that is not tolerated. You claim millions of Muslims have left the ideology.....which is not factual....in fact it is punishable by death. Where I live in Europe we have literally been invaded by hundreds of thousands of Muslims.....and they are not going to all of a sudden become followers of democracy and praise women and gay rights just because they crossed the border into Europe.